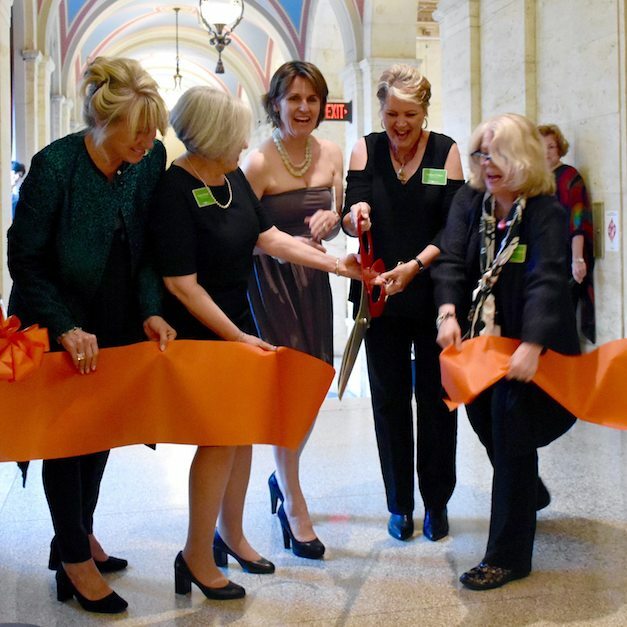 The Women’s Board of the Columbus Museum of Art is a dynamic group of women who raise funds for the Museum. We take seriously our commitment to one of the country’s best museums. But we are more than that. We are women from all around Central Ohio who come together and do great things. Women’s Board was organized in 1967 and to this day, Women’s Board members play an active role in advancing the growth of the Museum through direct service and fundraising. The Museum is a community treasure, and we help to preserve and enhance that treasure. We do it with style and humor, bringing our talents, time, and camaraderie to make our fundraisers some of the most successful and anticipated events in Central Ohio. Beyond our fundraisers, many of us choose to volunteer our time in other ways for the Museum. We also spend time together, discovering art and just enjoying each other’s company. Our signature fundraiser is Designer Showcase, a biennial event in which we partner with creative interior designers and talented landscape architects to transform a landmark Central Ohio home. A tradition since 1975, Designer Showcase (previously known as Decorators’ Show House) has earned more than $3 million for the Museum and provides a showcase for the finest in local design talent. This all-volunteer event is possible only because Women’s Board is committed to its success every step of the way. Show House contributions are supplemented by other fundraisers that bring recognition and support dollars to the Museum. Whatever we put our minds to, Women’s Board members make it successful. We work hard, but we also take time to relax and enjoy each other’s company. We come together throughout the year for luncheon membership meetings, a Fall Coffee and Holiday Tea, and members-only opportunities to learn about and appreciate art. We are members of the Museum and volunteer our time in its community outreach efforts. We form enduring friendships with women who share our passion. Women’s Board members are also invited to take part in the exclusive Art Encounters program for Women’s Board. Art Encounters is an art enrichment and education program exclusively for Women’s Board members. The program offers a variety of experiences that will inspire, inform and enrich members’ art appreciation. Women’s Board members are also invited to serve in direct service opportunities at the Museum, including staffing the Wonder Room in the Center for Creativity and welcoming guests to the Museum. Women interested in membership should contact us here.